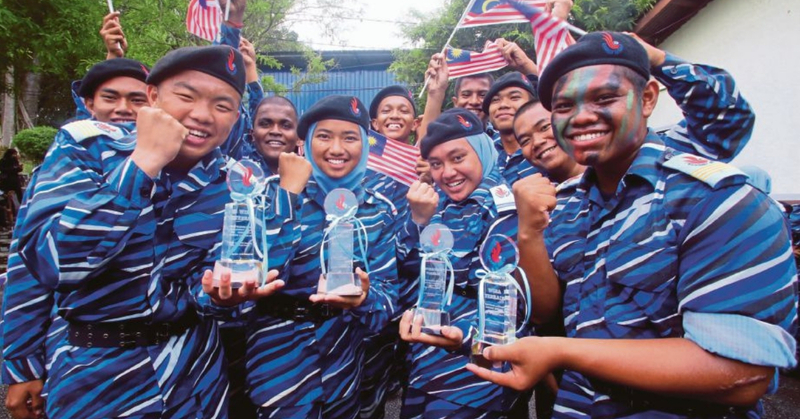 As someone who did not get drafted, with the news of PLKN shutting down permanently, I wanted to know what people who went through the 3 months of (from an outsider’s perspective) hell about the things that they’ll definitely miss! So while we all hate waking up in the morning, a good friend of mine who misses NS dearly (hehe Jorman) said that one of the things he’ll miss dearly is the routines, such as waking up in the morning before 6.30am just so they can all get ready in time as they needed to “masuk baris” at 7.15 to start the day. Now that’s dedication! While this isn’t an official activity, Jorman and his gang would gather around in a dorm room, usually the one with the most snacks and they’ll share food, drinks and talk all night till the sun (no getting lucky here ah) oh, don’t forget the ghost stories! Through the months, they did have free time to socialize you know? They would communicate more and socialize with each other in their rooms, in the canteens and even doing other activities such as playing Badminton, football, draw and even go for a run since they don’t have their phones with them all the time. Right before the end of their National Service, recruits got to go into the jungle and get to camp in the forest at night, pitching their tents and braving the horrors of the jungle, be it cold weather to scary sounds. It was a 4KM trek to get to the campsite and another 4KM back just so they could learn about how to survive in the wilderness. How cool is that?! Finally, the people la of course! Ask any NS people, they’ll all say that they miss their National Service friends! 100%! There must be something special there as all the races of Malaysia can come together and love not only their country but along the way learn respect and love for other cultures as well, that is the true meaning of unity. Namewee’s Latest Song, “My Skanky Girlfriend” Features Famous Taiwanese Rock Duo, 動力火車Power Station!